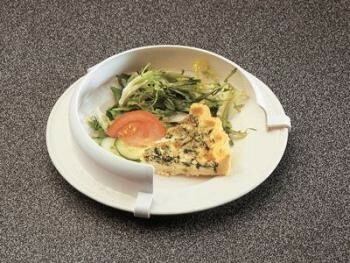 This flexible guard can be fitted to orrdinary plates to assist with one handed eating. This flexible guard can be fitted to orrdinary plates to assist with one handed eating. Three clips attach it to the rim and create a high inward sloping face to help with food collection and prevent spillage. Plate Size 7½" - 10"